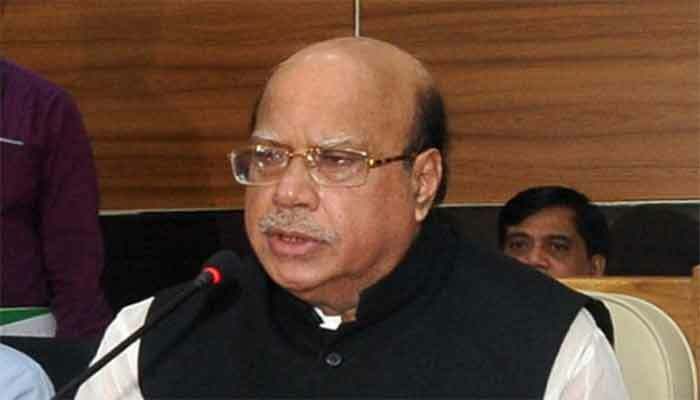 Awami League Presidium Member and Health Minister Mohammad Nasim on Tuesday said BNP has started hatching conspiracies to foil the next national election. “We want an election where all political parties, even BNP, will take part. But they (BNP) are hatching conspiracies to foil the next general polls…We, along with the country’s people, will resist their ill attempts,” he said, speaking at a press conference held at AL president’s political office in city’s Dhanmondi. Samyabadi Dal General Secretary Dilip Barua, Jatiya Samajtantrik Dal (JAS) (faction) President Sharif Nurul Ambia, Jatiya Party-JP Secretary General Sheikh Shahidul Islam, Bangladesh Samajtantrik Dal (BSD) Convener Rezaul Rashid Khan, National Awami Party (NAP) Joint General Secretary Ismail Hossain, Communist Kendra Presidium Member Ashit Baran Roy, AL Organizing Secretaries Khalid Mahmud Chowdhury, Barrister Muhibul Hasan Chowdhury Nowfel, Office Secretary Dr Abdus Sobhan Golap and AL Industry and Commerce Affairs Secretary Abdus Sattar, among others, were present the press conference. Nasim said the next general election will be held this year and there is no other alternative to the polls to change power as per constitution. “We want BNP to take part in the next national elections for getting the verdict of the general people…We hope the countrymen will vote for ‘Boat’ as they are in favour of development,” the spokesperson of central 14-party alliance said. The health and family welfare minister urged the cabinet secretary to submit the report as soon as possible so that none can fish in muddled water. Referring to upcoming three city corporations elections, Nasim said three teams have been formed to run the publicities in the election areas. Dilip Barua will lead a team for Sylhet City Corporation polls while Sheikh Shahidul Islam for Barisal and Fazley Hossain Badsha for Rajshahi city polls, he added. He hoped that the dwellers of the three cities will vote for AL candidates.